The European union funding for job creation and a sustainable and healthy EU economy and environment is channeled through the five EU structural and investment funds. Although there is EU categorization system for EU projects, EU countries apply their own different categorization systems. Some EU countries already apply European categorization system, but many do not. As a result, many projects in available datasets are not categorized using the European categorization system which hinders straightforward fiscal analyses. 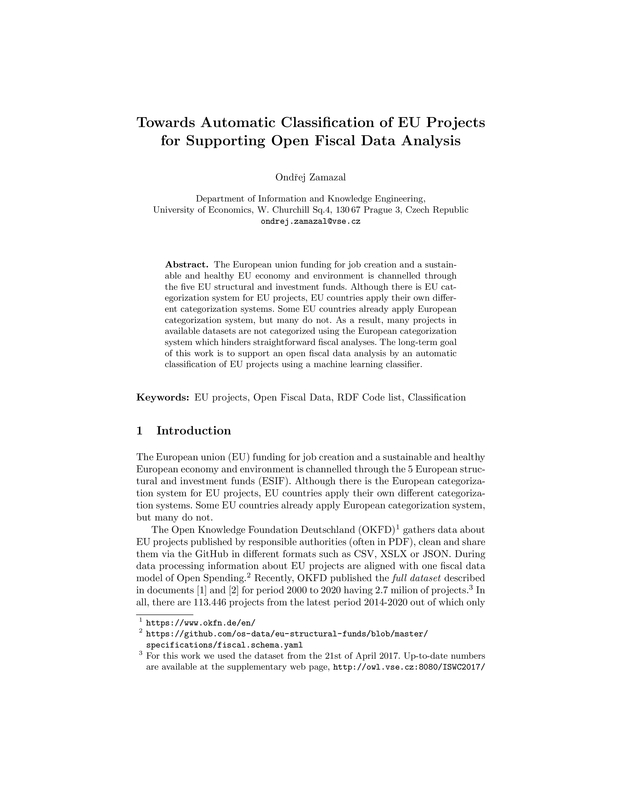 The long-term goal of this work is to support an open fiscal data analysis by an automatic classification of EU projects using a machine learning classifier.